FASTER, LEANER VISAS UNDER NAFTA IS THE WAY TO GO! There are two kinds of NAFTA visas that we specialize in. One is a professional VISA, and the other is an investor VISA. Not all persons with degrees from Mexico and Canada qualify for a TN Visa. NAFTA Chapter 16, Appendix 1603.d.1. lists the qualifying degrees for the visa. Non-immigrant trade and investment visas are available for nationals from countries with investment and trade treaties with the United States. For persons from a treaty country to develop and direct investment and trade in the United States and thereby promote development of the U.S. economy. Visa seeker must undertake a significant amount of trade between treaty country and United States. The monetary value of the trade must be significant to justify trader to be present in the United States. The treaty trader must show that he has sufficient “know-how” to run the trade business. This is usually done through a detailed business plan and résumés showing the educational and/or experience of the E-1 treaty trader. No amount is provided that would constitute “significant amount” of trade. However, the greater the trade and figures, the greater the trade between the treaty countries and likelihood of obtaining the visa. E-1 visas can be sought for key personnel and employees with specialist skills in the trade company’s business. Because this visa category is a non-immigrant visa, E-1 treaty traders must show intent to leave the United States after expiration of the visa. 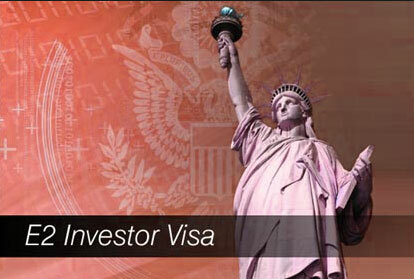 Visa seeker must invest in the U.S. in the form of an operating business. Visa seeker must be entering the United States in order to direct and develop the business. The investment must be substantial. No set amount of investment is given that treaty investors must meet. However, the investment is viewed against the proportionality of expenses such as start-up costs. E-2 visas may also be obtained for employees who are key personnel and specialist employees. The E-2 visa seeker must risk capital in the United States. This may take the form of purchasing equipment in preparation for starting the business, copies of bank statements showing investment of money from the treaty country into the United States or leasing premises from which business is conducted. 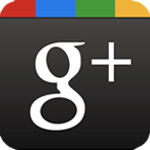 United States citizens or Legal Permanent Residents must be employed in the business. The E-2 treaty investor must show that he/she has sufficient knowledge and experience to successfully direct business operations. This will be done through such things as a detailed business plan, and résumés showing the educational and/or experience of the E-1 treaty trader. Because this visa category is a non-immigrant visa, E-2 treaty investors must show intent to leave the United States upon expiration of the visa. 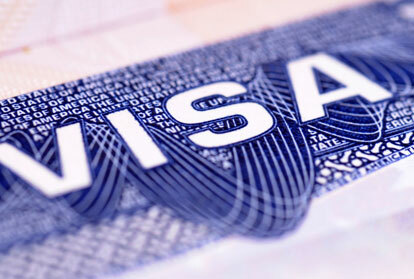 Visas are usually initially valid for between 2 – 5 years. Visas can be renewed for as long as needed. If you are interested in applying for a Treaty Trader/ Treaty Investor Visa, we encourage you to make an appointment with us in order for us to assist you in procuring a treaty investor/ trader visa. Through our partnership with Adbongo Inc., we provide a one stop shop for your visa needs. We do the legal, they do they business planning. Adbongo Inc. specializes in uncontested market spaces, and they provide a lean team of entrepreneurs to execute the business planning side of your investor visa. Proof of citizenship of either Mexico or Canada. An offer of employment from the prospective United States employer . The offer of employment must contain a job description of the foreign professional, the duration of the employment contract and why a TN Treaty professional is needed to fill the position. The offer of employment should also detail the qualifications held by the foreign professional that qualify him/ her for the TN Visa. The letter of employment should include the rate of pay you will receive from the United States company. TN Treaty professionals must submit original diplomas, licenses or other qualifications. TN Treaty professionals may be required to prove experience in the NAFTA qualified profession. To meet this requirement, letters from former employers will be required. Professionals who were previously self-employed must provide business records such as business bank accounts, tax records and company financial statements. TN Treaty professionals must show that they hold a passport valid for at least 6 months following the validity period of the initial visa. The procedures for obtaining a TN Visa differ slightly depending on whether you are a national of Mexico or Canada. Applicants from Mexico are required to complete an online application (form DS-160) with the appropriate consulate and pay the required fee (currently$160perapplicant). Online applications should be accompanied by a photograph of the applicant. Upon completion of the online form, applicants are required to schedule an interview with the consulate at which they will submit the required documentation for a TN Visa. The process for Canadian citizens is different in that Canadian citizens do not have to go through the consulate to obtain a visa. Canadians can apply for status as a NAFTA Treaty professional by applying at the port of entry into the United States with all the required documentation. A visa will only be required if they are in a third country and will be entering the United States from that country. TN Visas allow free flow of business between the United States and its immediate neighbors. The requirements and documentation to obtain a TN Visa are not overly burdensome. The TN Treaty visa allows for the position in the United States to be part-time, and possibly makes it easier to secure the required pre-arranged employment in the United States. TN Treaty professionals can be accompanied by their spouses and other dependents, who will be awarded “TD visa status”. Not every applicant for a TN visa will be eligible. In particular, applicants who have prior immigration violations will not qualify. It is also advisable to consult with an attorney to prepare the required documentary proof of eligibility for a TN Visa . A temporary work visa is available for citizens of Mexico and Canada under the North American Free Trade Agreement. Under this visa category, professionals of Mexico and Canada can take particular advantage of the economic and trade relationship that United States has always enjoyed with its immediate neighbors to the north and south. The initial visa validity period is three years, but renewal is possible.